Cultural landmarks, temple grounds and beckoning beaches in Thailand become exhibition spaces for relevant curators and renown artists to launch new works. Here’s what to expect from the different art extravaganzas taking place around the country. At last, Thailand is joining the pack of art biennials – hosting countries, with no less than three major art events running in Bangkok, Krabi and other cities through February 2019. Iconic sites, from the capital’s famous temples to lush natural reserves on the Andaman coast, will soon host a plethora of artworks and exhibitions by both Thai and international artists. As a large number of visitors, artists and curators converge towards Thailand, could this unprecedented occurrence boost the country’s reputation as an emerging contemporary art destination? 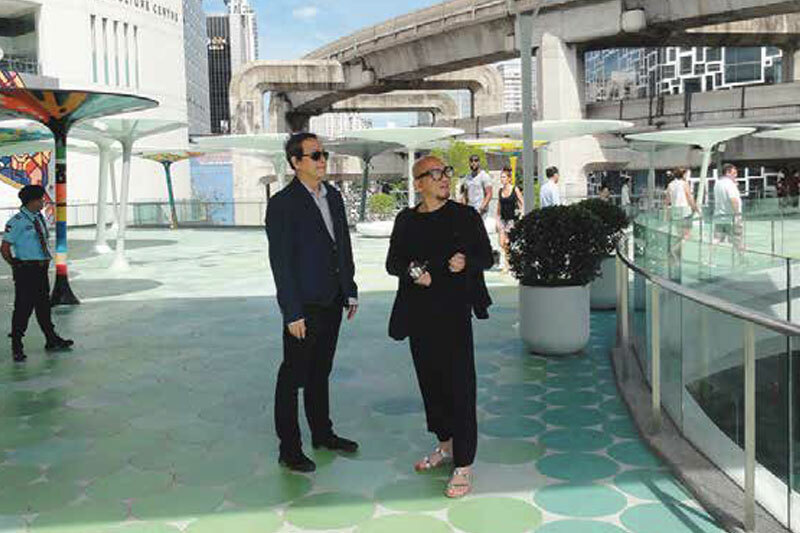 “This year, the spotlight is shining on Thailand,” says Luckana Kunavichayanont, a member of the Bangkok Art Biennale’s curatorial team and former director of the Bangkok Art and Culture Centre (BACC). 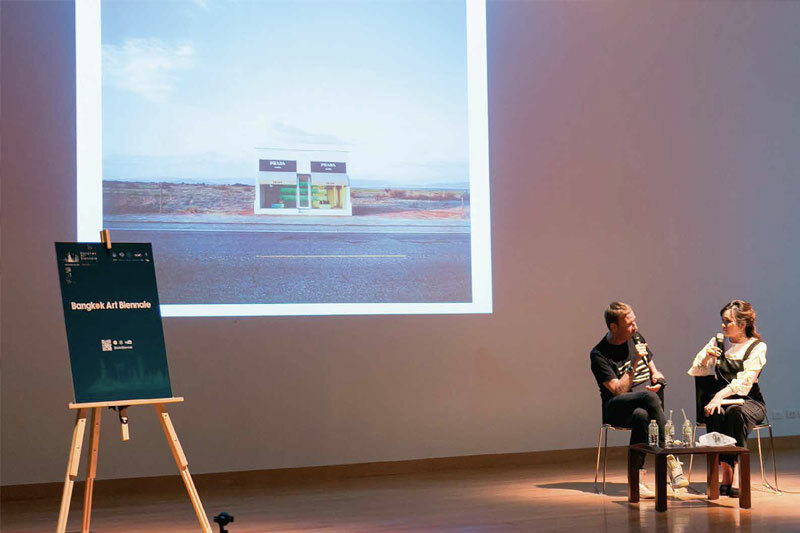 Of course, this attention comes with a number of questions raised, particularly regarding the fact that there are three parallel events – The Bangkok Biennial, Bangkok Art Biennale and Thailand Biennale – sharing similar purposes and timing. Nevertheless, Kunavichayanont believes it is in part explained by Thailand’s ultimate readiness to host such events, both on institutional and artistic levels. 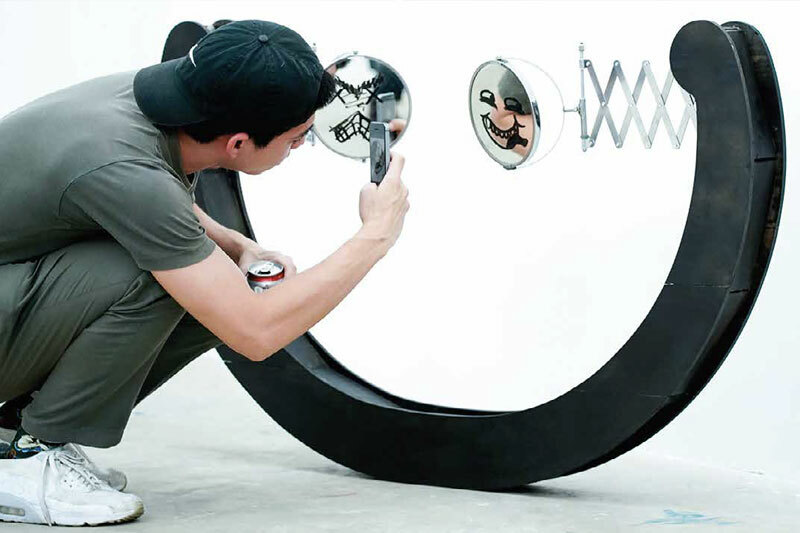 Since the 1990s, the Thai contemporary art scene has become more and more vibrant with each passing year. Many new galleries and art centres have opened their doors, while Thai artists are increasingly exhibiting their works abroad. Within the country, appetite for art has never been more pronounced. “This maturation has been continuous over the past decade and we’ve reached a point where hosting an international manifestation of contemporary art is the next natural step,” adds the curator. Mixing cultural heritage with contemporary art practices, the Bangkok Art Biennale also makes history in Thailand through its use of temples – touristic highlights Wat Pho, Wat Arun and Wat Prayoon for instance – as pavilions to showcase artworks, a first in the country, where these sites retain an active religious and cultural role. Abbots and monks looking after the sites have been very keen about hosting artworks, notes Kunavichayanont. Art practitioners working in such environment also had the opportunity to engage at a deep level with local actors and local communities since the early stages of the project. 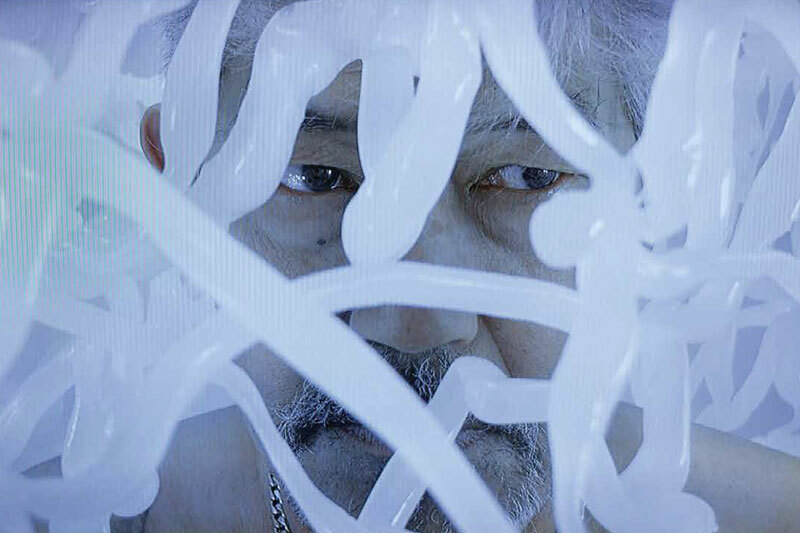 Supported by business tycoon Thapana Sirivadhnabhakdi, CEO and President of ThaiBev, the Bangkok Art Biennale promises to be a lavish affair, running from October 19 until February 3 under the theme “Beyond Bliss”. 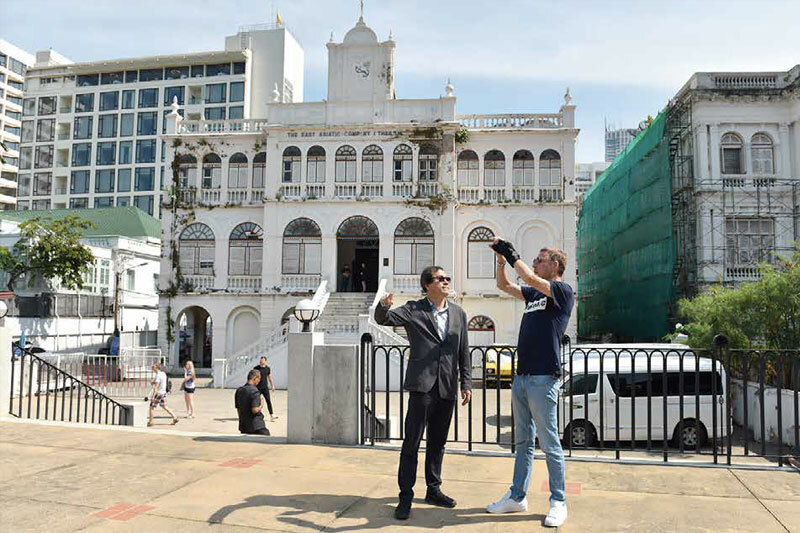 Seventy-five artists, including international big-names such as Marina Abramovic, Yayoi Kusama and the Nordic duo Elmgreen & Dragset, have positively responded to veteran curator, and the Biennale’s artistic director, Apinan Poshyananda’s invitation to take part in the event’s inaugural edition. Their Thai counterparts include Kawita Vatanajyankur, Pichet Klunchun, Dujdao Vadhanapakorn, Jakkai Siributr and Tawatchai Puntusawasdi. For this occasion, indoors institutional sites such as the BACC will accommodate a number of art performances and installations, while ThaiBev Plc is also putting to contribution its real estate properties such as the East Asiatique Building on the Chao Phraya riverside and the newly-built One Bangkok complex in the heart of the city. In Krabi province, where the Ministry of Culture is holding its first-ever Thailand Biennale in luxuriant settings, international and Thai artists taking part in the event have also immersed themselves in the local culture through numerous site visits. The Thailand Biennale draws its singularity from its outdoors-only exhibition sites, in a province popular with visitors. Set against natural backdrops, the site-specific artworks curated by Jiang Jiehong under the theme “Edge of Wonderland” will dialogue with the Andaman coast beaches, fertile lands and mountain ranges. 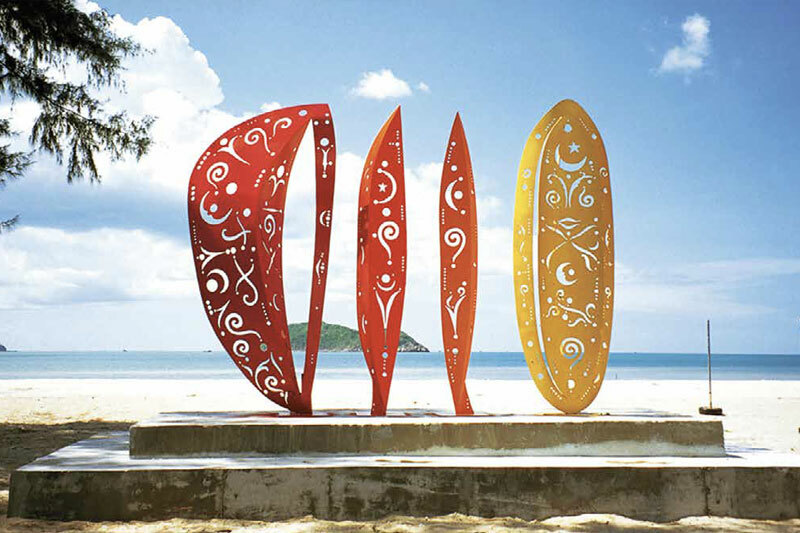 Despite its reputation as a touristic spot, Krabi is accustomed to hosting international art events, ever since the introduction of an “art cities” policy by the Office of Contemporary Art and Culture to promote the decentralisation of art exhibitions, usually taking place in Bangkok or Chiang Mai. The Thailand Biennale furthers this strategy by inviting international artists such as Camille Normant, Giuseppe Penone and Hong Kong’s Para-Site co-founder Chi Wo Leung to participate in the event. The curatorial team, which includes Thai curators Vichaya Mukdamanee and Vipash Purichanont, also handpicked several of Thailand’s finest contemporary artists for the Biennale. Established practitioners such as Kamin Lertchaiprasert will see their works presented alongside those of mid-career artists like Jedsada Tangtrakulwong, Dusadee Huntrakul, as well as rising star Chulayarnnon Siriphol. Decentralisation appears to be a theme common to several of the art events taking place in Thailand this autumn. Aside from the Bangkok Art Biennale and the Thailand Biennale, independent pavilions are opening their doors to visitors in Khon Kaen or Pattani. An up-and-coming destination for art aficionados in Thailand, the Southern town is hosting “Re/Form/Ing Patani,” an exhibition that looks at the region’s past and present identities. 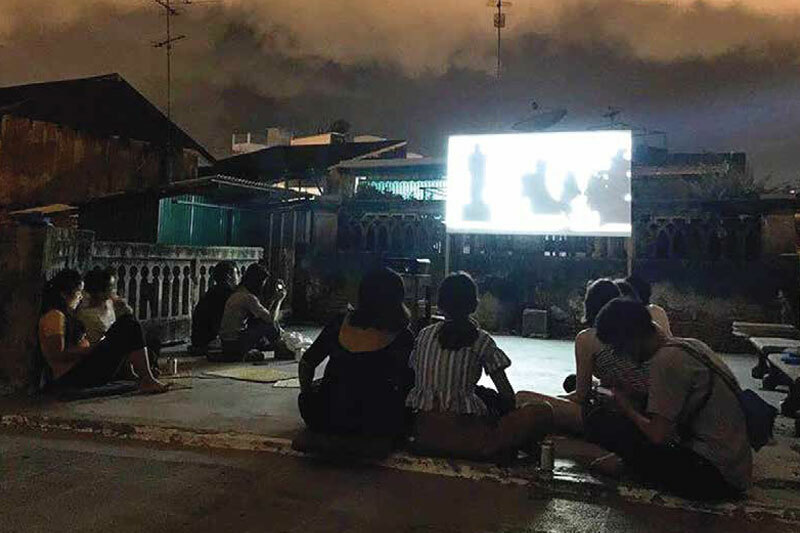 With the participation of local artists and Thai artists from elsewhere in the country, the show – set in four different locations, including the Patani Artspace, a vanguard space in the region’s art scene – involves community-based artworks. “Thailand’s different biennales provide opportunities for many Thais to be in contact with artists and contemporary art from varied origins,” says artist Jakkai Siributr. Siributr’s textile works, often dealing with the complex history and identities of ethnic minority groups, will be displayed in the context of the Bangkok Art Biennale, as well as in Pattani. “In a sense, we’re bringing contemporary art to non-art communities, as well as drawing art-initiated audiences in cities or areas they may not be familiar with, thus creating dialogue,” he adds. In Khon Kaen, where the Khon Kaen Manifesto will take place starting on October 6, Thai artists from the Isaan region and elsewhere in the country, will collectively imagine an inclusive definition of “Thai contemporary art,” whilst using art as a platform to reflect on the country’s socio-political situation. Often criticised for being tools to boost international tourism, Biennials are nonetheless important meeting points for local and international art enthusiasts and promote intercultural dialogues and exchanges. “Thailand is famous with visitors for its beautiful, natural landscapes, as well as its rich cultural heritage. Beaches, temples and palaces, that’s what we’re known for,” Kunavichayanont notes. Which of the Bangkok Biennial, Bangkok Art Biennale or the Thailand Biennale will hold the most influence is yet to be assessed. 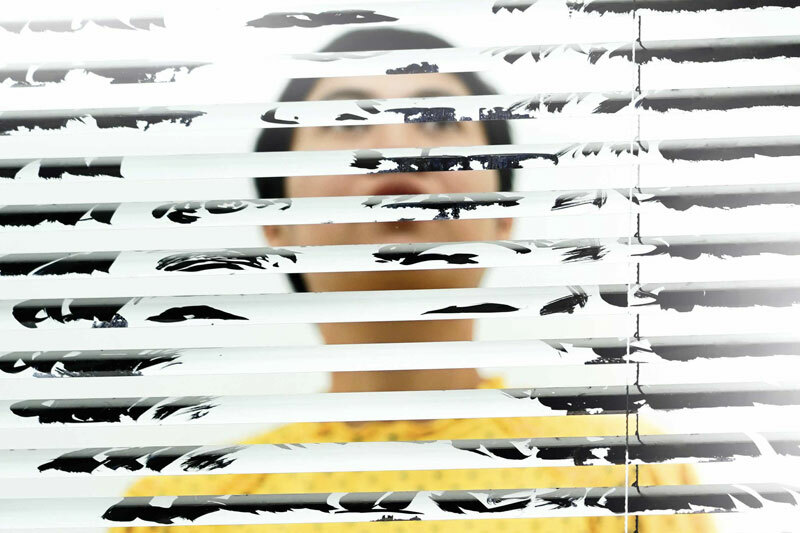 But all three are sparking a new conversation on Thai contemporary art and the potential for Bangkok to become a new art hub in Southeast Asia.